We provide many heating services to our customers in the Chicagoland area, from handling furnace repairs to installing ductless mini split heat pumps. 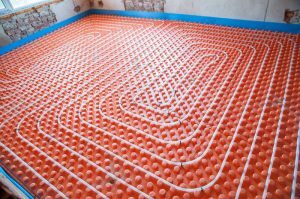 One service that continues to grow in popularity is fitting out homes with radiant heating systems that use in-floor tubing to provide heat. Radiant heating systems are becoming top choices for new home construction and even more retrofits. But why? Why have many homeowners found that radiant heating was exactly what they wanted?